Safety Guardian <+> [MU Online Fanz] <+> Official 3rd-party [MU Online] Fan Site & Game Guide! 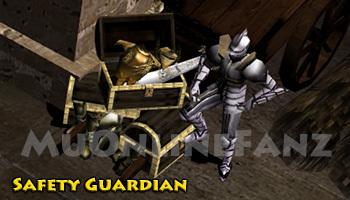 The Safety Guardian NPC will allow you to store items in a safety deposit box for a small fee. 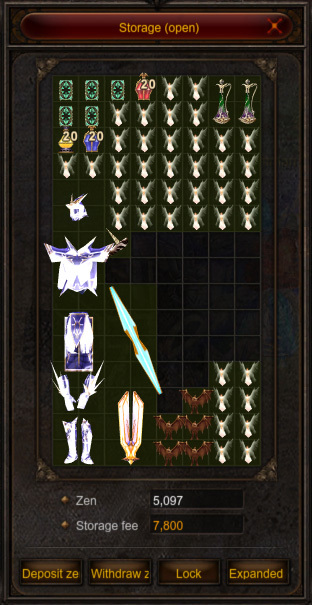 This NPC can be found in almost all maps. The storage fee will increase as your character's level increases. Up to 999,999,999 zen can be deposited into the storage. Storage can be locked by a 4 digit pin number. Storage can be expanded by one page via the Cash Item Shop.